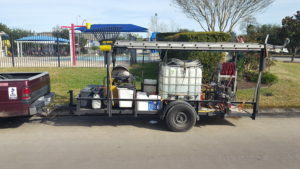 Cypress Pressure Washing has mobile pressure washing trailers ready for your property’s cleaning needs! Many of the pressure washing companies today are good at cleaning residential and commercial properties with water readily available, but how many can actually perform pressure washing on a property that doesn’t have water available? 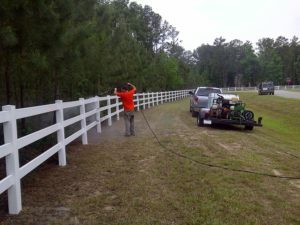 At Cypress Pressure Washing, we provide the mobile pressure washing and mobile power washing services you need. Our services page will show you all the services we can provide for your property. Take a look around our website and see how we can make your property beautiful again. We have trailer set ups ready to come to your property equipped with water readily available to clean whatever it is that you need cleaned. With these trailer set ups it saves you in the long run because you don’t have to pay that high water bill, and you know you are dealing with a true professional, and not just your run of the mill guy with a pressure washing machine he bought from the local hardware store. 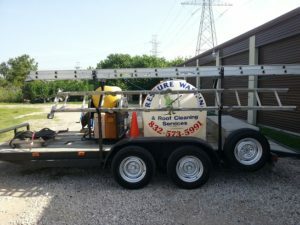 Our mobile pressure washing and mobile power washing trailers are equipped with all the materials needed to perform any service we offer, so if additional services are requested, we can still finish on time, every time. 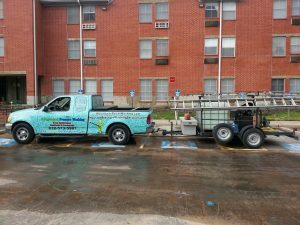 All of our mobile pressure washing trailers have at least a 250 gallon water tank mounted, therefore we can complete any project. We can bring water to the project, or use yours and move to a remote location. This eliminates the need for large amounts of water hose needed. Upon our free estimate, we can let you know what will work best. When it comes to your property, make sure you hire the best company that gives you the needed results the first time. Hiring the wrong company first can result in damaged property, so call us today for the safest and best results available. We are fully insured for your protection. All of our technicians go through extensive training programs on a regular basis. Safety for your property, and our technicians, is what makes us the best around. Locally owned and operated, therefore we take care of our communities with pride. We offer many other services as well. Please take a look around our website to see what other services we can offer you to make your property as beautiful as the day you bought it. We take the time to do things the correct way, therefore you get a better service that lasts.